 The postdoctoral research positions at the Warsaw Center of Mathematics and Computer Science (WCMCS) are aimed at young researchers who recently received their PhD. Successful candidates will be employed as an adiunkt (assistant professor) at one of the institutions of WCMCS. The positions are for 6-12 months, with a possible extension to at most 24 months, altogether, but not longer than the duration of the program which is scheduled until the Spring of 2017. The salary will be 7000 PLN per month, pre-tax. In addition, the holder of the position will be eligible for financial support for participating in scientific meetings. The position comes with a teaching load of up to 60 hours per semester. The applicants should have defended their PhD not earlier than 4 years before the planned beginning of the position. This period can be prolonged by the parental leave. The call for positions starting on September 1 or October 1 is open in mid-February through mid-March. The candidates should fill in an application form and submit the following documents: (1) a cover letter of application addressed to the Board of WCMCS, indicating the institution (MIMUW or IMPAN) and the period of his/her employment, (2) a CV including a list of publications, (3) information about his/her best papers, published or available as preprints, (4) a research plan including a collaboration scheme with researchers from MIMUW or IMPAN. In addition, the applicant should ask two senior researchers to send their letters of support; one of the letters should be sent by a scientist from a research unit of WCMCS who would address the possibility of cooperation of the candidate with a research group from WCMCS. The letters of support should be sent to the following e-mail address wcmcs.postdoc@mimuw.edu.pl. At the time of taking the position the candidate should present a document that confirms holding the PhD degree. The evaluation of the candidates will focus on the scientific merit of their research and its relevance to the topics developed at WCMCS as well as on their possible contribution to enhancing the research potential of WCMCS. The list of the people who have received WCMCS fellowships is posted here.